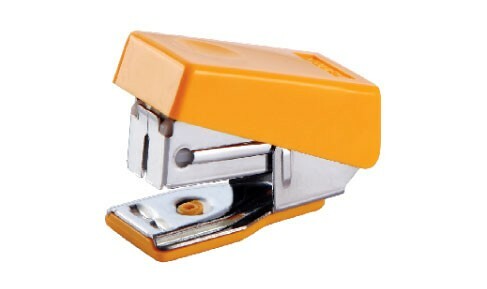 Smallest stapler with plastic body and quick loading mechanism. Suitable for stapling and tacking. Indicate maximum insertion paper depth. The base length of stapler in 38mm abd throat depth is 18mm.